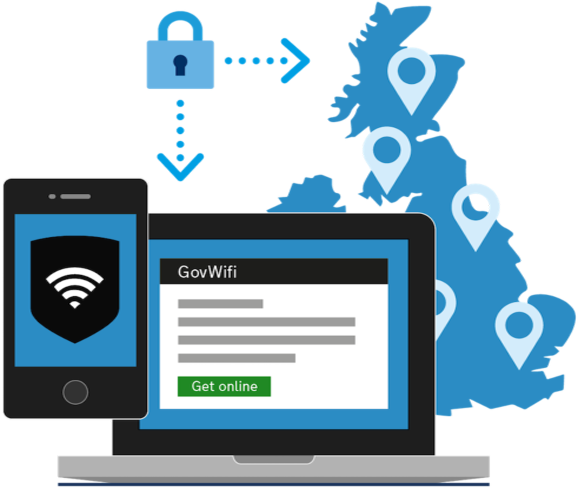 Help users stay connected across organisations with GovWifi's single user login. Or, manage an existing GovWifi installation. Once users have signed up they’ll automatically be connected when visiting organisations that use GovWifi. You won't have to change your infrastructure or current Wifi provider. GovWifi just makes all participating wifi networks appear as one to users. GovWifi is built and managed by a full-time team of developers, designers and product managers at GDS.